I love doing my Queens. All the drama. My Moon pieces were the most challenging and and exciting to create. I loved making them. My larger fairies if standing would be 10 to 14 inches. They are a full body sculpt. 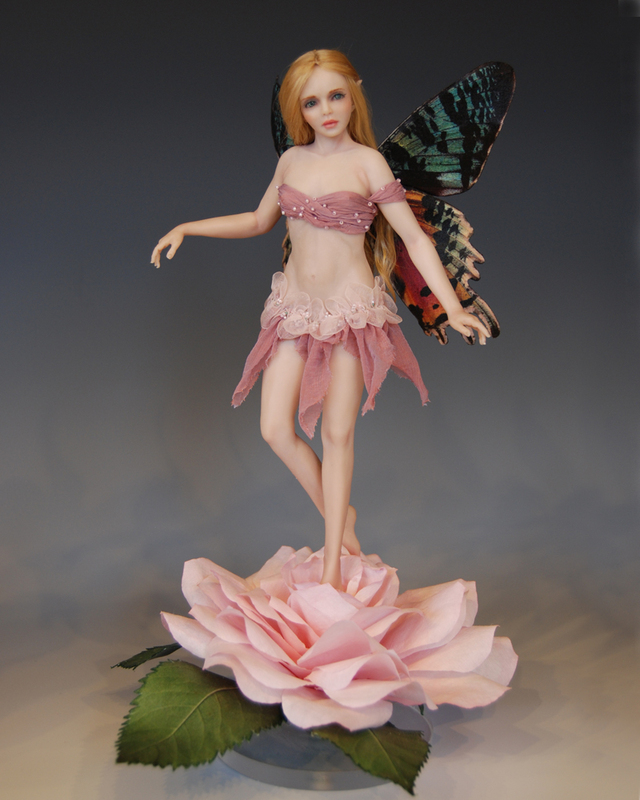 My little fairies are a variety of sizes but average around 4 to 8 inches tall. All are in private collections.